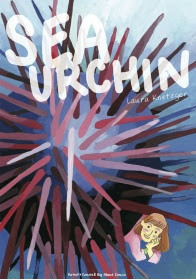 * Elias Rosner reviews SEA URCHIN by Laura Knetzger, writing "This comic is achingly truthful and meditative and filled with moments that resonated with me when I first read this and resonate still." * Robin Enrico on Ada Price's CALIGULA, "a work that while non-functional as a history lesson is deeply evocative as a piece of historical fiction." * Alenka Figa looks at Jessica Campbell's XTC69, "a pure delight all the way through." * Meanwhile, over on his High-Low site, Rob Clough ALSO takes a look at XTC69, calling it "a delightful balance of satire, absurdity and sharply-observed witticisms." * John Seven reviews Reid Psaltis' KINGDOM/ORDER. "It suggests that barriers between humans and the natural world are real because we have made them so, but that doesn't mean the experiences in either are necessarily doomed to be exclusive.". * Kevin Bramer takes a short, plot-heavy look at BALD KNOBBER by Robert Sergel, which was never on my radar but now suddenly is. * Henry Chamberlain reviews M.F.K. by Nilah Magruder, calling it "one of the most unusual and mysterious comics I've ever read." * Edward Haynes on Luke Healy's PERMANENT PRESS, writing "Healy innovates and pushes the boundaries of comics while mocking those that put too much weight in just deconstruction, and manages to keep the book personal, funny and emotional." * Over on the site coolyeahalright, there's a very short review of ORANGE CHEST by Nou, a book that seems very interesting by a cartoonist whose work I love. * Nathan Chazan reviews DIE LAUGHING by Andre Franquin, saying "Franquin does not put himself or anyone else above the calamity he plays for laughs." * Brett Schenker has this video review of ALL THE ANSWERS by Michael Kupperman, "a fascinating account of mid-century radio and early television history, the pro-Jewish propaganda entertainment used to counteract anti-Semitism, and the early age of modern celebrity culture." * Sam Ombiri a story by Gabrielle Bell from Kramer's Ergot 8 called "CODY". * Andy Oliver reviews YOU DON'T NEED THIS by Elizabeth Querstret, which "explores our relationship with the thing we own, the advertising world that tells us we need them, and invites us to think about whether they truly enhance our existences or help us define ourselves." * Way back in early May (so, not technically posted between 5/11 and 5/18, but whatever, and thanks to Dominic Umile for pointing me in its direction), Ed Park wrote about THE COMICS OF CHRIS REYNOLDS for the Paris Review. It's pretty great. * And finally, though not about a small press or self-published title, Nick Hanover's look back at the Steve Gerber character FOOLKILLER is a MUST READ. 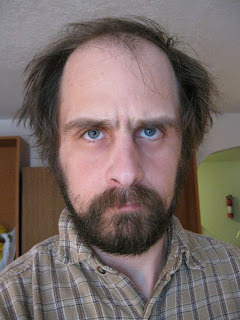 In it, Hanover writes, "The best commentary Gerber provides in Foolkiller is this notion that white male rage can justify any target it wants to, that the men who succumb to it are capable of transforming reality so that they become not only the true victims but also the only people with the ability to 'save” reality.' Given this, and so much more, you can see why I'm all in on this piece. * The great comics critic and YCE contributor Rob Clough conducts a two-part, wide-ranging interview with JOHN PORCELLINO that is nothing short of spectacular. * All of Jamie Coveille's recordings from the PANELS AT TCAF are available over on The Beat. Of particular note is Ronald Wimberly and David Brothers talking about the "Radical Application of Black Aesthetics". * Speaking of TCAF, writer for the Beat (and YCE contributor) Philippe LeBlanc has posted his NOTES FROM THE FLOOR. * In this short video from Tinto Press, JOSH BAYER talks about his book RM. * Greg Hunter interviews the publisher at Uncivilized Books, TOM KACZYNSKI, about "the New Gods, comic shops, memes, nostalgia, and more." * Priya Sridhar interviews HOPE LARSON about her new book, All Summer Long. * Eric Farwell interviews MICHAEL KUPPERMAN about his new book, All the Answers. * There are Tara Booth comics up on Vice called COMICS ABOUT COMPANIONSHIP AND SELF-CARE. * There is also a Margot Ferrick comic there called PETSO. * Over on WWAC, Corissa Haury breaks down the latest trash-fire in comics that is #COMICSGATE. * And speaking of the latest trash-fire in comics, Pia Guerra has this cartoon on The Nib called #COMICSGATE SPEAKS TRUTH TO POWER. * Daniel and Mark Oppenheimer write MICHAEL CHABON, STOP BEING THE WORLD'S BEST DAD, YOU'RE KILLING US in response to the author's collection of essays, Pops.